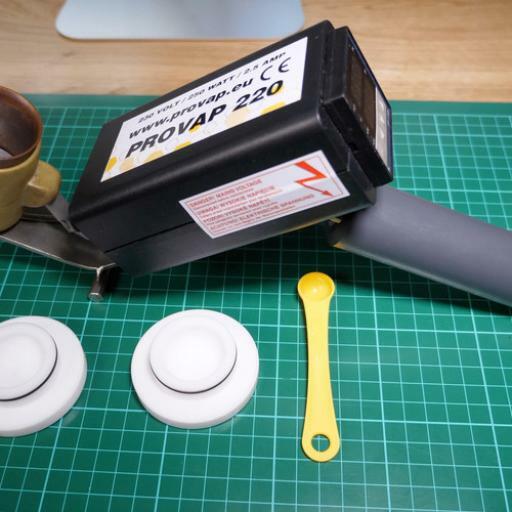 The ProVap220 Oxalic Acid Sublimator is a commercial grade vaporiser for use in treating colonies for the Varroa Mite. The package comes complete with mounded UK plug, 2 x powder bowls and 1 x measuring spoon. Finally, a FAST Hobbyist/Commercial Sublimator at an affordable price. Just 20 seconds per hive! No need to continually cool down the heat bowl, No entrance cup to insert, just point and shoot! No guessing on dosage! Just plug it in to an inexpensive inverter, generator or use house current. 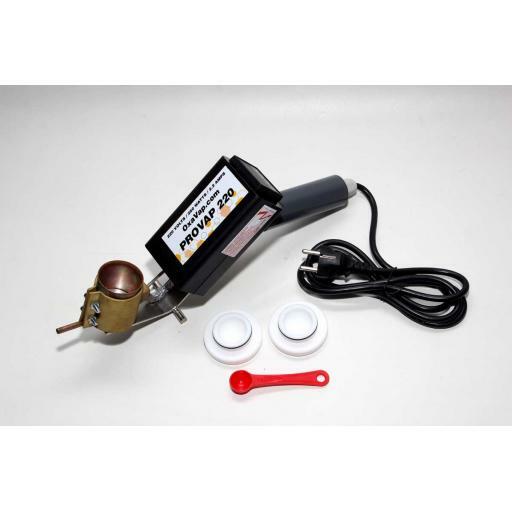 The vaporizer is a 220 volt electrical appliance, 250 watts, 2.2 amps. This is the one you’ve waited for and now it’s here! Check out This Video for a full review and guide on how to use.